It’s not too early to think about your future! You can leave a lasting foundation by naming Habitat for Humanity Tucson in your will. Learn how making a charitable bequest can help us continue to make a difference in our community. 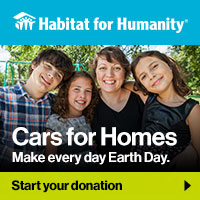 Individuals can leave monetary gifts to their family AND to Habitat Tucson. It is a common belief that you must choose between leaving a gift to your heirs or to charity. You can do both, and some charitable gifts may actually save your family money by decreasing inheritance taxes. A simple directive in your will can bring welcome support to an organization that will make a difference for years to come. No gift is too small. A charitable bequest is simply a planned gift of your estate to a charitable organization through your will. There are different kinds of estate gifts. For each, you must use very specific language to indicate the precise direction of your assets, and to successfully carry out your wishes. In any charitable bequest, be sure to name the recipient accurately. Make sure you have an up-to-date will (or living trust) that reflects your charitable wishes. Without these documents, you surrender control of your property and assets to the courts. Contact your financial advisor (a financial planner, lawyer or accountant) and ask for help in establishing your estate gift and will. Think beyond cash – you can leave stocks, real estate, insurance policies and personal property to charitable causes. You can also make Habitat Tucson a beneficiary of your life insurance, pension plan or IRA. For more information about why and how to give, visit LeaveALegacy.org or contact Habitat for Humanity Tucson, (520) 326-1217 ext. 223, amyr@habitattucson.org. All requests for information are confidential and non-obligatory. The information provided is not intended to be legal or tax advice. It is advisable to consult with a qualified estate-planning attorney when drafting your will to ensure your wishes for family and our nonprofit are properly documented.